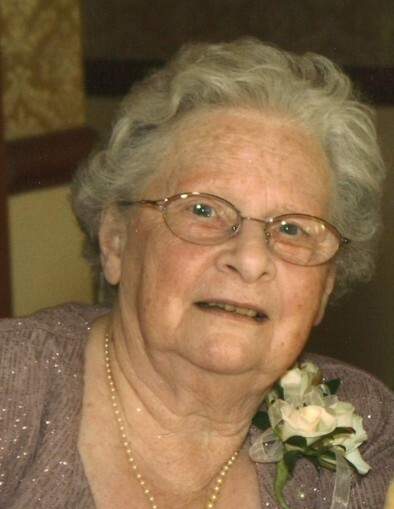 Ruth H. Clark, of Kenton, Delaware passed away peacefully at the age of 93 on Thursday, January 31, 2019 in the presence of family. She was born in Somerset County, Pennsylvania on May 13, 1925. At an early age, she moved to Camden, Delaware where she was raised by her parents, Homer and Edith Clites. After graduating from Caesar Rodney High School, she began nursing training in the United States Cadet Nurse Corps. She was slated for service with the United States Navy during World War II. The program’s purpose was to address significant shortages in the number of registered nurses available to support the United States Army and Navy. While still in training, one of the highlights of her early nursing career was serving as the personal nurse for the mother of South Pacific Area naval commander Admiral William Halsey, Jr. Japan surrendered before she completed her schooling so after receiving her R.N. degree, she served as a visiting nurse in Wilmington for the United States Public Health Service. She next served as a public health nurse after returning to Kent County. There, in addition to making visiting nursing calls, she assisted with the universal inoculation of Kent County children after the polio epidemic of 1952. Her last role as a registered nurse included her serving as a school nurse for both the Kenton School and the Mount Friendship School, near Kenton. For many years, Ruth also served as a corporate officer and bookkeeper for the family business. Ruth’s lifelong focus and priority was caring for and loving her family. She enjoyed having family for holidays and birthdays, and she especially enjoyed sleepovers with her grandchildren. She and her husband Donald were fortunate to have celebrated their 70th wedding anniversary this past August. Shortly after their marriage in 1948, they built their home near Kenton and lived there until their move to State Street Assisted Living in Dover. Ruth is survived by her husband, Donald and her four children, Karen Kowinsky (Fred), Donald J. Clark (Gwen), Gary Clark, and Jeffrey Clark (Kristen). She is also survived by her five grandchildren, Jodi MacLean (Bryan), Paige Clark, Thomas Clark, Mitchell Clark, and Katherine Clark. Her funeral service will be at Kenton United Methodist Church on Saturday, February 9, 2019. Friends may call at 1:00 P.M, with a service to follow at 2:00 P.M. Burial will take place at a later time. The family requests that friends consider donating to the American Heart Association in lieu of sending flowers. Condolence letters may be sent by visiting www.fariesfuneralhome.com.